Rotary Park Kindergarten is located in the suburb of Highcliff. It has a spectacular outdoor environment with panoramic vistas of the city. Kaiako believe learning should be fun and they provide a quality local curriculum that enhances children’s learning and development in a caring environment. 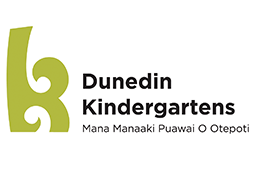 Their local curriculum is based on the principles, strands and goals of the NZ Early Childhood Curriculum, Te Whāriki, where children are encouraged to be curious, confident, competent lifelong learners. Personal attributes, strengths, dispositions and experience sought in the successful applicant are described in the Kindergarten Teacher Professional Standards. A creative, motivated and innovative leader. Willing to lead and work as part of a team, sharing knowledge & skills with others as well as celebrating their strengths. Someone who proactively promotes a positive kindergarten profile within the community.